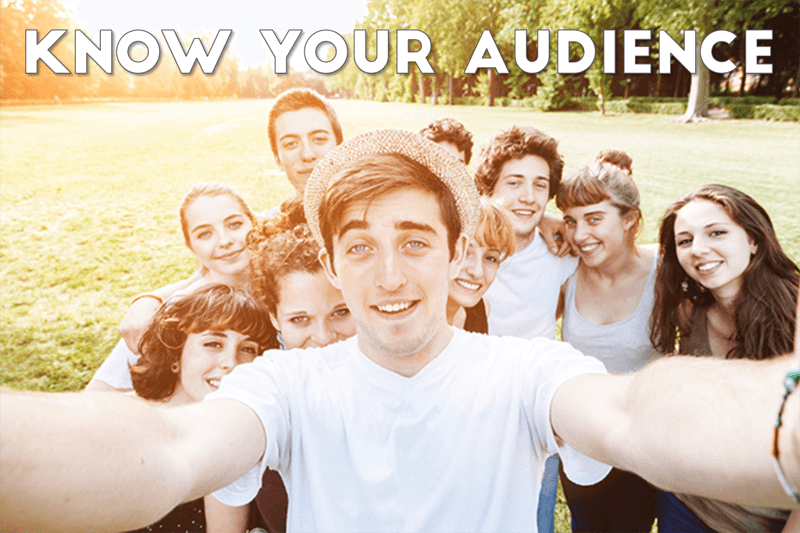 Thursday’s Tip of the Day is KNOW YOUR AUDIENCE. In the marketplace, companies spend tens of thousands on market research because they know that understanding their customer will help drive sales. As a youth leader or worker, it is vital that we know our students. When we take the time to get to know them, we better understand how to effectively minister to them. Today, we see how this plays out when it comes to the arena of gaming. I know that many who read this will say, “But I want everyone to get a chance…”, but the truth is, games can sink quickly because you have people who won’t generate the excitement that a game requires. Now I’m not saying that you need to cherry pick every participant, but a few never hurts! Pick someone who will go all out, even if the game is stupid. Select someone who is well-known, loud, annoying, anything! This guarantees that people will have some sort of interest in watching. Sit down for a few moments and identify who it is in your group that could liven things up. Find the influencers and do what it takes to get them involved. In many ways, games are about leadership. Without a leader, games struggle to take flight, but given the right people and circumstances, they flourish like never before. There is nothing more boring than to watch a bunch of people give a half-hearted effort while you are desperately hoping the game will end. That’s why it’s vital to know your audience. If you start with the right people, I think you’ll be surprised at how attention-grabbing almost any game can be. There it is, Thursday’s Tip of the Day. Get more great games and tips by subscribing to our blog, liking us on Facebook & following us on Twitter @stumingames!